Hello-Bob Sargeant - Just purchased an Model Airways Sopwith Camel and looking for advice on doing it the right way. I have done some modeling when a lot younger but interested in getting back at it. Hi Bob and welcome, we have some members that made the Camel, make a search on the site and look at there. Last edited by LOCO; 08-10-18 at 03:26 PM. thanks for adding me to the group i model cars since sixties mostly race cars.I am redoing Lola T 70 from Tamiya and looking to make it Mark Donohue. Some of my work of oldies i have made almost 40 years ago.I am almost 70 years old. Built a few smaller scale automotive kits over the years as a distraction from the 12 " to the foot type, still have a few in stock for a rainy day, including an inherited partially constructed whitemetal Vauxhall 30-98 which really needs starting afresh. I am sure this material shall involve learning new things like low temp soldering. I am a 73 year old from Canada currently building scale RC planes. Have made models since I was about 9 or 10. Do you remember the little Airfix kits you got in a plastic bag at Woolworth's? I made mostly the war birds that were common back in the UK in the fifties. Over the years on and off have built other aircraft, cars, dragsters and hot rods. Since retirement got into balsa stuff and doing my best to fly them. Between you and me I think I am a better builder than a pilot but when I see the skill level on this site it makes me question my own skill level! But then it always gives one a challenge and a level to strive for. Stumbled on this site and looked real interesting. Looking forward to seeing what other folks are building and sharing ideas and tips. As they say "you're never too old to learn". Right? Hi, My name is Kurt . I’m 68 and live in NJ and have been scale modeling everything cars, planes, tanks, military miniatures and ships since about 7 years old.For the past 10 years mostly ships (sticks and string variety). I can remember seeing 2 Pocher models built up on display in a real hobby shop ( when they existed). I miss being able to go to one and just see what’s new and talk to anyone there. That was 1973, and to build one has been on my bucket list since then. Unfortunately they’re always out of reach. I recently noticed an Airfix Bentley Blower on EBay and after reading some “builds” around the internet and here of course, figured it should make a fine substitute. I love the time period of the pre WW2 cars. So I’m waiting on it’s arrival. In the meantime I’m wading through everything at this site. 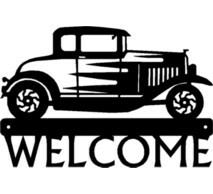 Hello and welcome to the Scalemotorcars Forum. Thank you for registering. Please start by posting a little about yourself. For example. I've been building since I was 8 years old. Model cars were all I wanted for Christmas and I remember getting about 30 kits that year. When I was 12 my Uncle found a Pocher RR at a yard sale, he took one look at all the tiny parts and knew it was for me. After that I would never build the same way again. I was hooked and never went back to the small scale kits. In 1998 I started SMC to share with the WWW my passion for building. Thats it. Now its your turn. Here are some links to help you finish setting up your profile.